Whether your Alexa predicted it or not, it’s raining. Which makes choosing what to wear in the morning even more difficult. All of the potential outfits you were brainstorming the night before are in the mental trashcan. While the weather may be uninspiring, your rainy day outfit doesn’t have to be. Equip yourself with rain boots to avoid soggy socks and don a waterproof bucket hat to preserve your hair. Your full outfit, however, doesn’t have to be rainproof - just your outerwear and accessories. Once you’re inside and you’ve shed your rainy day gear, you’ll forget about the torrential downpour altogether. And while rainy days can come sporadically and unexpectedly, finding rain boots and coats that you’ll be excited to wear when the showers come is worth the investment. You’ll have us (and your trusty rain coat) to thank for staying dry. Click through for five outfits to save for a rainy day. Watch any fishing show and you'll know that fishermen experience rainy weather all the time. Although we don't have any fishing trips in our future, we're borrowing some color cues with highlighter yellow and sea kelp green. Transparency is key in life and in rain outfits. If you're stubborn in wanting to show off your OOTD, invest in a transparent rain coat. And if you're feeling extra proud of your see-through rain coat plus outfit underneath combination, invest in a transparent umbrella as well. 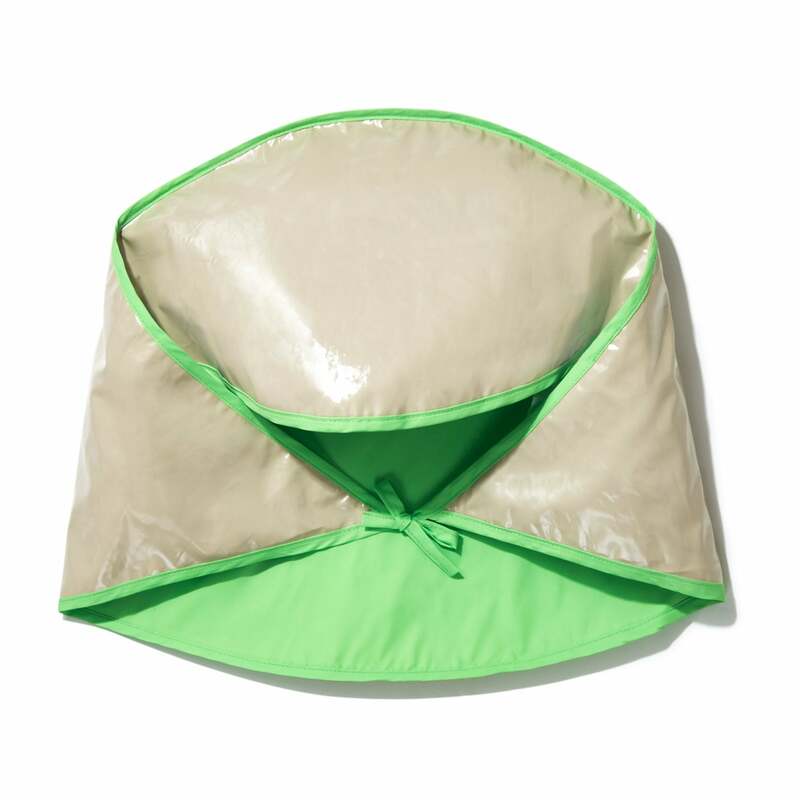 This isn't your plastic one-time-use rain poncho. 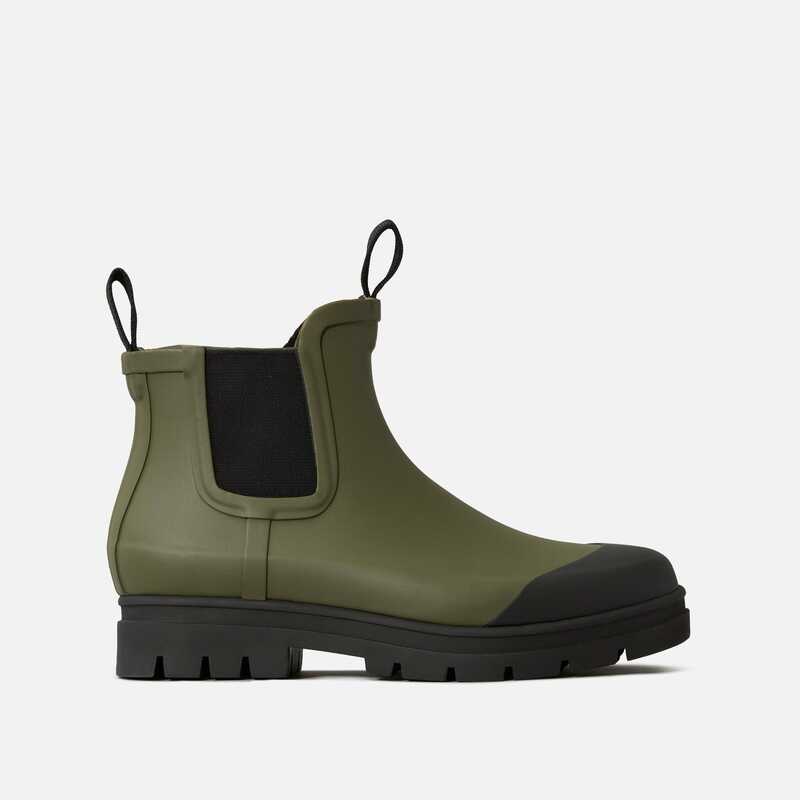 Invest in a real sturdy one, and your rain gear game will be changed forever. That's not us being dramatic; non-constricting arms help avoid the usual rain coat problem of non-breathable fabrics causing lots of sweat. A poncho might even inspire an extended stay out in the rain. Not. All. Raincoats. Need. To. Be. Long! Something to keep in mind as the rain showers approach. Just be sure to either avoid white bottoms or invest in some waterproof pants. Wearing a trench coat on a rainy day is the best cinematic cliché. You're pretty much Audrey Hepburn in Breakfast at Tiffany's. While you're at it, consider a rain bonnet as well: They might be the next bucket hats. You heard it here first.